Digital marketers are familiar with in-feed advertising. Facebook and Instagram have ‘sponsored and boosted’ posts where brand messaging can appear in a fan’s Facebook or Instagram news feed. Twitter has a similar model with ‘promoted tweets’. More recently, LinkedIn and Pinterest launched similar advertising formats too. Back in 2015, Tencent’s trailblazing app WeChat launched WeChat Moments Advertising — but with limited functionality and huge minimum spends for Western advertisers and brands. However, in April of 2019, this all changed and WeChat Moments Advertising is now available for all brands with no minimum spend requirement. This product has now launched globally. For specifics on how you can advertise on WeChat, download our WeChat Advertising Guide and check out our blog post on “Why Brands Should Care about WeChat Advertising“. WeChat has achieved tremendous growth since its launch in early 2011. As of November 2014, WeChat’s parent company, Tencent, announced that its user base has grown to 468 million monthly active users. But despite the drastic growth, Tencent has struggled to monetize that user base. A big part of its success was due to their commitment to user experience, in an intimate space tailored to people and not marketers — which has been a strategic move to not inundate their audience with advertising. From the beginning, WeChat has been cautious with monetization. In July 2014, it launched an advertising service in China that allowed verified WeChat accounts to place ads on other companies’ official pages with more than 100,000 followers. These ads, however, did not appear in users’ newsfeeds. 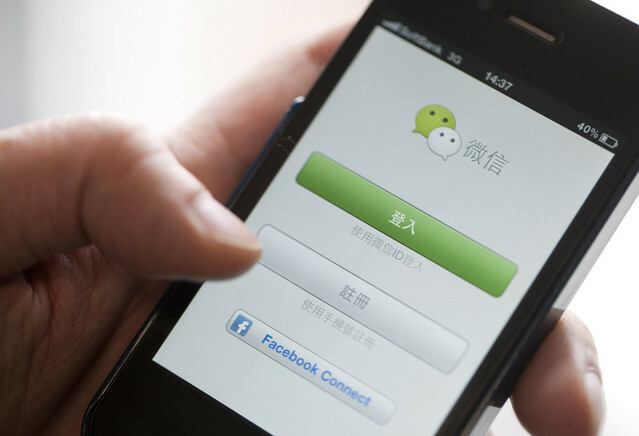 WeChat has a measured rollout plan in place to minimize the risk of turning off users. The first set of test ads will only be shown to a group of people who WeChat determines to be extremely active in Moments or those who frequently engage with any advertising. Only when these people interact with the test ads, will the ads show up in their friends’ Moments, and so on and so forth. In addition, if users don’t interact with the ads at all, the ad will disappear from Moments within 6 hours. WeChat also has an impression cap on the number of times users would see an ad — a typical user would see one ad every other day. In the past, brands had limited options when it came to utilizing WeChat as a marketing channel. Other than the advertising feature that launched in July 2014 mentioned above (which was open to a very limited number of accounts), the only other option was to create business pages. However, it was difficult to build a following and have any engagement on the business pages without an amplification strategy. WeChat’s newsfeed ads point out a direction for advertisers to see it as a marketing channel, which they can incorporate as a part of their media plan. So far, brands invited to take part in the test include BMW, Coca-Cola, and Cadillac. Although Chinese Internet companies were initially regarded as copies of Google, Twitter, and Facebook, they have since evolved into innovative companies with unique business models. WeChat is not simply a Chinese version of WhatsApp; it is an aggregate of several social platforms, with the functionalities of Facebook, Twitter, and chat, and even acts as a walkie-talkie. The app holds a dominant position in the world’s largest smartphone market. 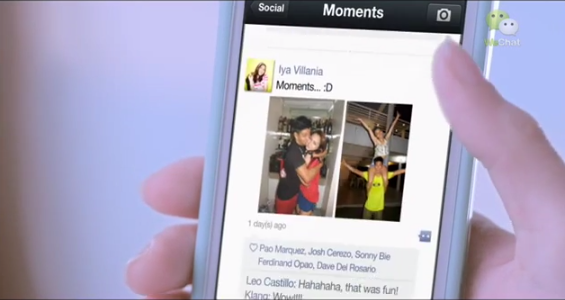 WeChat Moments Advertising offering comes as it works to create a platform where users not only send messages to friends, but can also shop, make purchases, play games, ride-sharing, and more without having to leave the app. With WeChat’s cautious move towards monetization via advertising and its continued emphasis on user experience, high standards for advertisers are expected. Now, the question for advertisers is, what is the best way to make an impression on a platform built on private conversations? Read the updated WeChat advertising blog post, where we dive into specifics such as the anatomy of WeChat advertising, bidding strategies, and pricing.